Laying the groundwork for a bevvy of jambands currently lighting up the festival circuit, Phish are one of the most influential live acts out there! 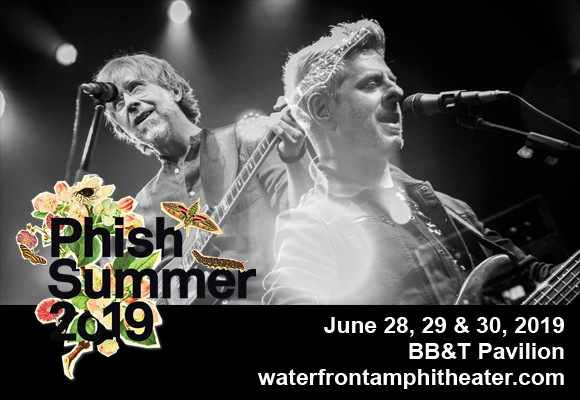 Delivering unparalleled entertainment, Trey, Page, Mike, and Fish are headed to BB&T Pavilion on Saturday 29th June 2019, inviting fans to party the night away in true Phish style! Creating a transcendent experience wherever they go, Phish are masters of their craft and this will be a simply unforgettable show!